It’s no secret that the winds of change are blowing in the world of storytelling – StoryWorld Conference and the interest that it’s already garnered from writers, producers and media companies is testimony to that (and the fact that I have been granted a lunch date with the awesome Robert McKee)! Panels have been popping up at global media events discussing issues such as brand journalism, new advocacies and ‘transmonetisation’ (just a sample from sxsw alone), preceded by companies such as Ernst & Young issuing reports advising on ‘monetizing digital media’ – and ‘tune in to emerging entertainment markets’. It’s clear that business models are being restructured, writers are looking to rehone their skills and integrated storytelling is stepping into the spotlight. Power to the Pixel – was pivotal in helping me initially shape the focus of the first year of my PhD in 2008 and continues to do so – year after year Liz Rosenthal and Tishna Molla work tirelessly on PttP and their first Cross Media Forum in New York – on 19 April is loaded with savvy and successful transmedia experts such as Nina Bargiel, Jeff Gomez, Andrea Philips and Lance Weiler . The Power to the Pixel Think Tank Report 2011 – – is a must–read, touching on definitions, organic storytelling, connecting with audiences, financiers and new skills and kicks off by stating that the report uses the term ‘cross-media’ rather than ‘transmedia’. I wrote a post last year called ‘Transmedia, Transmafia – hype and hyperbole or buzz and bullsh*t‘ – in response to a surge in ‘transmedia WTF’ tweets. I suspected it was in danger of becoming a victim of the potential of its own success because of the buzzwordiness. Over the last few weeks (possibly mostly after sxsw?) I’ve watched the emergence of antitransmedia hashtags and even more WTF tweets – @stitchmedia created a venn diagram to try and make sense of the arguments and points of view – and Transistoria wrote a blog post to draw some positive comments, linking to #antitransmedia twitter feed – some of which are hilarious (@gmdclark, @mikemonello,@vpisteve!) – ‘quantumtransmedia’, ‘neotransmedia’, ‘deep media’ 😉 . In talking to advocates, practitioners and transmedia/crossmedia producers it seems that ‘the movement’ comes from a ‘those who GET it, don’t use THAT word’ philosophy. 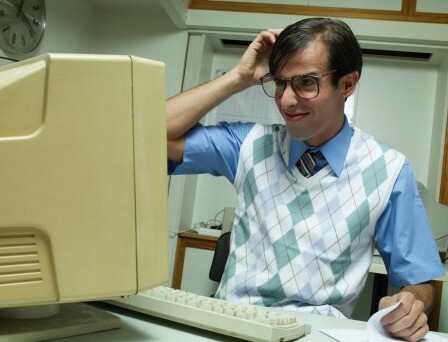 The jury is still out and I’ve just noticed that Julie Stratton has written an informative post collecting varying perspectives on what to call IT. Personally, I don’t mind what it is called. I see it as a transitionary term that represents organic storytelling, fragmented over multiple platforms (digital or not) that allow for 2-way narratives, engagement opportunities and levels of immersion. More importantly though, I like that the Pixel Think Tank goes on to recognise that the prefix ‘trans’ or ‘cross’ are used interchangeably and seamlessly amongst advocates without confusion – quibbling over terminology is simply a semantic side issue. And THAT’s where the importance lies. So let’s move on from quibbling over the word. Who, after all decided that the shake of a hand to say ‘hi’ would be called a ‘wave’ – would there have been campfire debates as to WHY it was called a ‘wave’ rather than a ‘shake’ or a ‘wobble’? And why has ‘thumbs up’ never been given a name? Most importantly for me, the Think Tank Report hits onto a new stumbling block for writers (which is nothing to do with ‘traditional’ writers block – that is a drying up of creativity, this is more of a brick wall). It appears under the sub section of ‘rights’ and touches on a significant change that makes transmedia so exciting for writers and producers. There are a host of elements that determine the success of a cross-media IP and many of them lie at the feet of the writer/producer. A successful transmedia IP requires a visionary to steward the IP through to completion. This creator/writer/producer needs to retain control of the IP rights in order to focus on platform strategies, media partnering, distribution and franchising whilst all the time keeping a watchful eye that the mythology of the story isn’t diluted. Telling a story over multiple formats requires a tight control on rights, which presents itself as a challenge to traditional distribution and broadcast structures. Transmedia production will, in fact, turn acquisition, commissioning and production structures on their heads. Gone will be the days where writers created stories and sold them in their entirety, probably for single platform production and distribution, but possibly with opportunities for repurposing on alternate mediums. The producer/creator/writer will now control their IP with a deep-rooted knowledge of the story mythology, the storyworld and integrated opportunities for extension and engagement exploitation. This puts the creator in a position of being in charge rather than ‘work for hire’ and helps ensure that the IP remains true to the vision of the story rather than being shackled by the distribution and production process. And herein lies the ‘problem’. There are few writers/creators/producers that have experience of controlling their own IP. Traditional business models have pretty much dictated that writers create and produce – up to a point – then hand over (sell!) the work for publishing/broadcast/film to take control of distribution, parcelling up franchising with media partners and rights issues. As Transmedia Producers writers need to acquire new skills to retain ownership and steward their IP through the entire process, from storyworld building, to production, introductions to potential media partners, rights issues and integrated storytelling as marketing. As Transmedia Storytellers writers and producers will be taking on roles that have been outside the remit of a writer/storyteller. I’ve said before that this new breed of consumer/audience/reader requires a new breed of writer and I’m excited by the number of emails and DM’s I get from writers keen to learn these new skills that encompass storyworld building, narrative design, audience interaction and transmedia production skills. What is also needed though, is some explanation and guidance on retaining ownership of IP, control and franchising of rights and a new business model on which writers can begin to build their creative & business practice. Bring on StoryWorld Conference & Expo. It’s one thing to learn narrative design, transmedia strategies, storyworld building and the architecture of a robust and invigorated IP. It’s yet another thing to learn what to do with all of that once you have it aligned and ready to go. Another great piece from your fabulous self. I’m running across this tricky territory right now, noticing how ownership of different story elements threaten to become diluted if not handled properly from the outset. When multiple companies begin to contribute to the process in their own individual areas of expertise, there has to be crystal clarity about who owns what assets and how they can be repurposed in other branches of the experience. 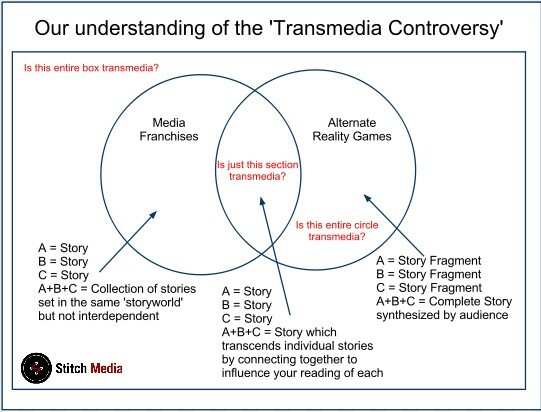 If anyone’s wondering what media industry degree to pursue, I suggest Transmedia Entertainment Law. Bravo & Well-Played ~ I agree, “Bring on StoryWorld Conference & Expo”!! Wow. You summed up the new landscape for writers beautifully. If we are to find a way over, under, through, or around the brick wall, we will have to embrace a complete reboot of the traditional writerly identity. Exciting times! many new “producers” may find they no longer “own” their IP fully after using most of these “free” platform services..to distribute.